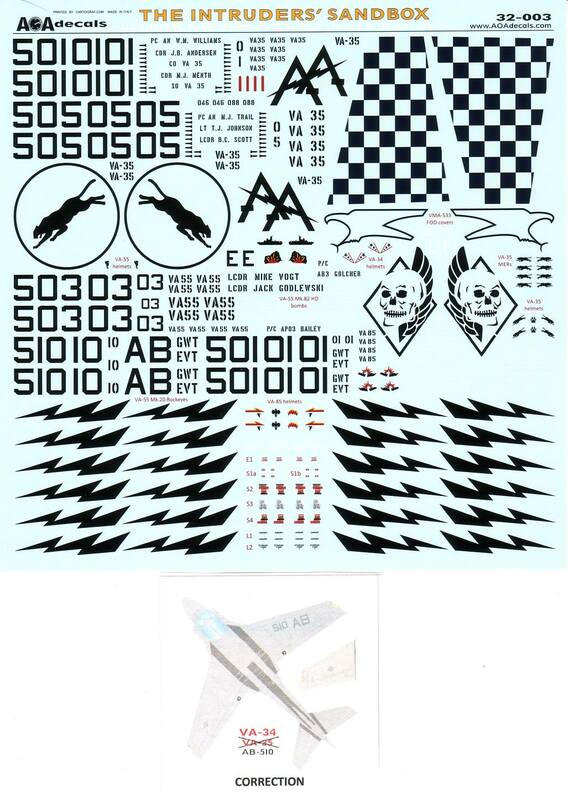 AOA Decals continues their releases for Trumpeters 1/32 A-6 and in this the A-6E version. 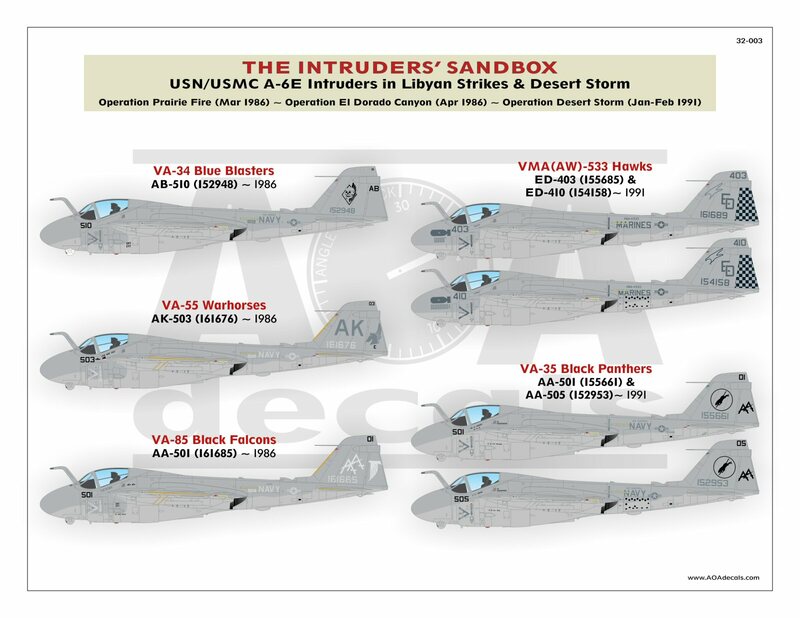 The decals included cover all three squadrons from the Operation Prairie Fire (March 1986) and Dorado Canyon (April 1986) missions in Libya, and also two squadrons from Desert Storm from Jan. to Feb. 1991. 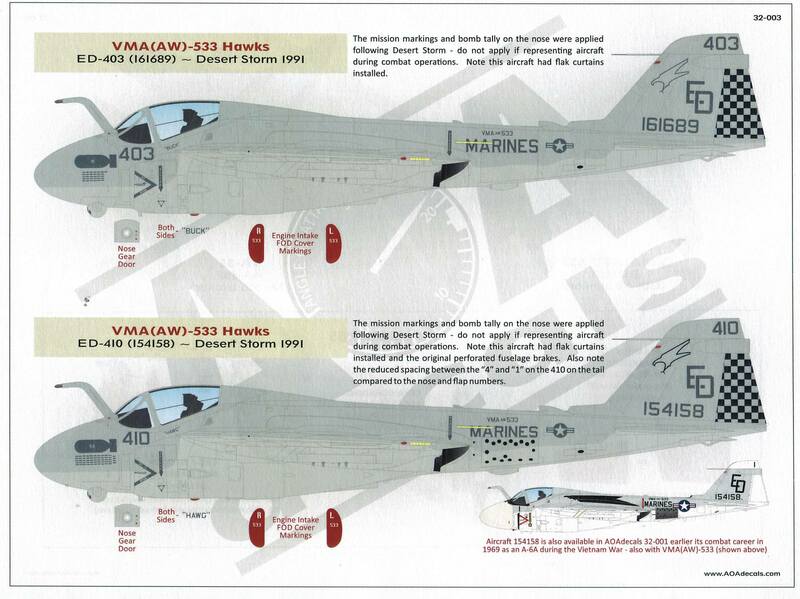 Decals also included for crew helmets, fuel tanks, ejection seats, VA-35 MERs, & VA-55 ordnance special markings. Stencils are not included. The markings are beautifully printed and done by Cartograf. Each plane has been completely researched with multiple color shots detailing the planes along with history and details. The details include things like which planes had leading edge corrosion tape added, which planes had walkways and what type. FOD cover markings are provided along with the above mentioned markings for helmets and speed brakes. 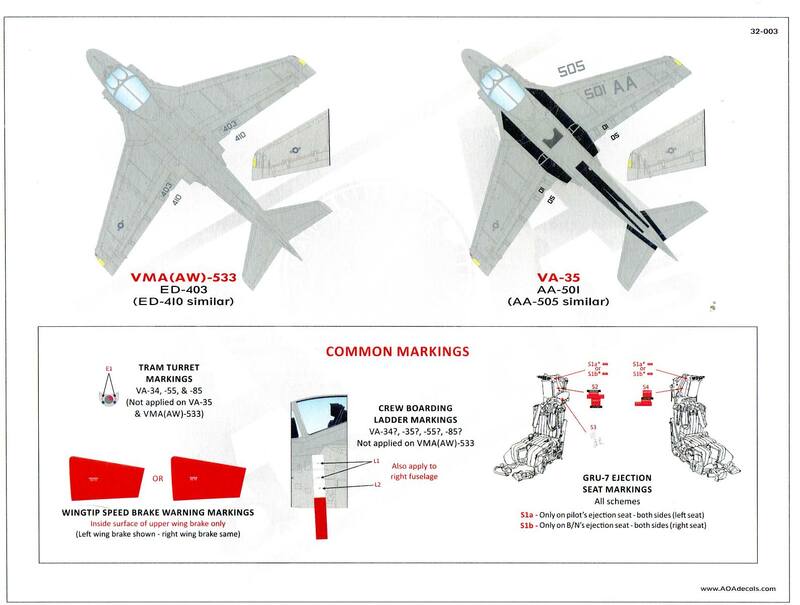 Even special ordnance markings and ejections seat markings are included. 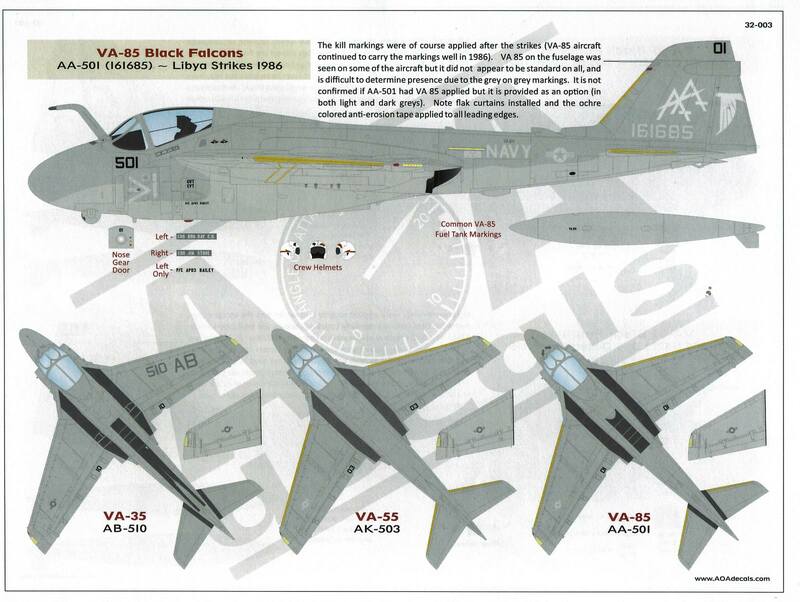 So, AOA picks probably some of the most historic A-6E's to ever fly. 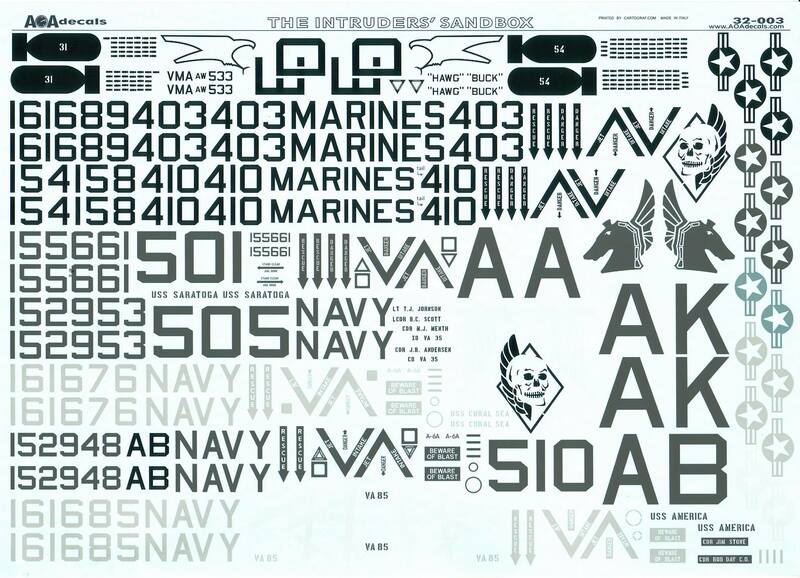 They research them thoroughly and then have Cartograf print a magnificent set of decals all of which go on a great kit- a totally winning combination. Highly recommended. My thanks to AOA Decals for the change to review these wonderful decals.